It was "the milk from contented cows." But you have to get it really, really cold or the froth won't last long. 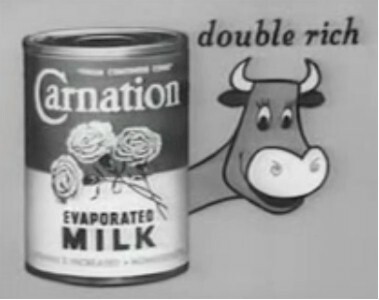 Anyone out there remember Carnation Non-Fat Dry CHOCOLATE Milk? It was discontinued in 1974, but was some of the best chocolate milk you could get....make a pitcher of it before work and come home to some great chocolate milk....why do they discontinue the good stuff?? ?